Many clinicians find it difficult within their busy practices to devote the time necessary for thorough assessment. The Gottman Relationship Checkup is your answer. 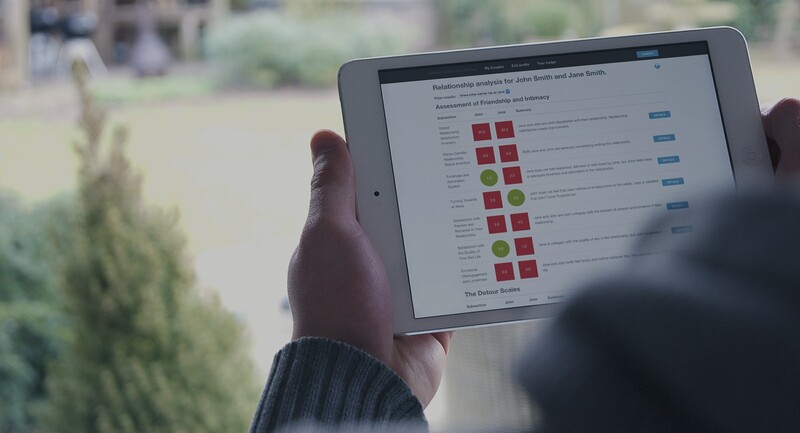 This online relationship assessment tool not only automatically scores a couple’s strengths and challenges, it also provides detailed clinical feedback and a suggested treatment plan with specific recommendations for intervention. Developed from over 40 years of research with thousands of couples, this relationship assessment relies on intensive, detailed, and evidence-based information on why relationships succeed or fail. 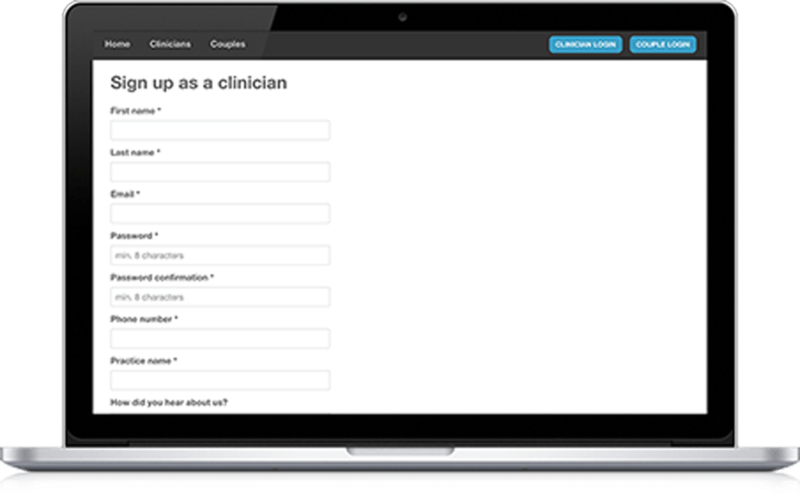 Clinicians must first apply to become a member of The Gottman Relationship Checkup. You must be a counselor, therapist, clergy, or other mental health professional working with couples. You do not need to be licensed or trained in Gottman Method Couples Therapy. There is no cost to become a member. Once approved, you can invite your couples to complete the questionnaire. There is a $29 fee per couple. 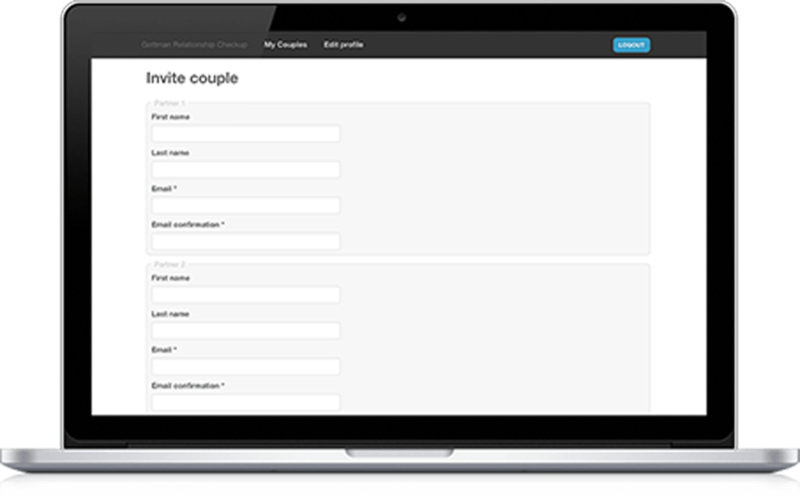 Before the couple can start the assessment, each partner must create a personal profile that requires them to have a unique login and password. This password is specific to their information and responses. Neither partner can access the other’s information at any time, and we encourage that they not share their information with each other. When both partners have completed their individual questionnaires, you will receive a notification that the scores, areas of concern in the relationship, and suggested treatment options are available on your clinician’s dashboard. After receiving the scores, you will be able to review the analysis with the couple and discuss any suggested steps for improving their relationship.